Are you fascinated by historical food but find it daunting? 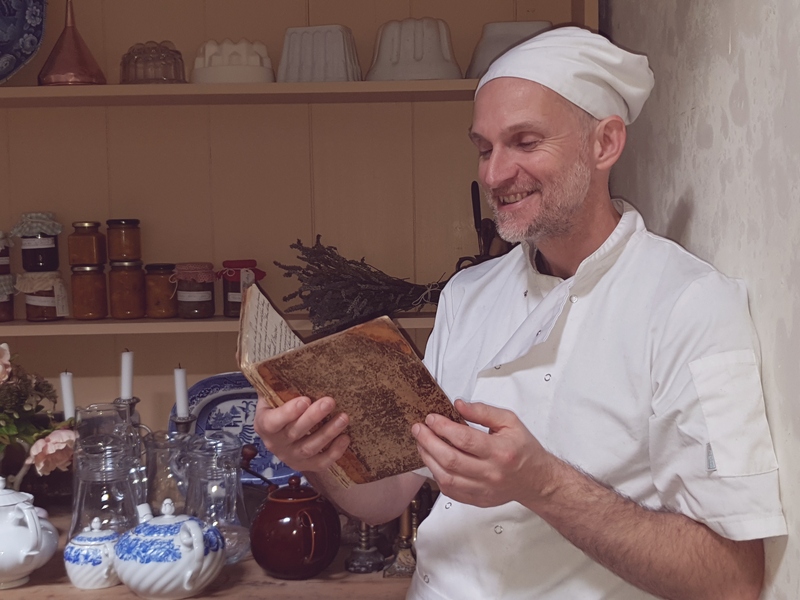 Would you like to taste food cooked to historical recipes? Would you like to recreate old recipes yourself or come to an evening where the food is created for you? I successfully set up Dine Like a Servant and have many years of experience of running dining events for large groups of people. I also have teaching experience. I now organise and present food classes and food experiences. My aim throughout is to take you away from your everyday lives and take you somewhere else. Somewhere historic. Taste and smell are strong ways to do this. I can offer small private dining experiences, larger group dining experiences and cookery courses. All the events that I can offer you use old, historical recipes. These recipes are brought back to life in a kitchen which once was used to produce them. Before I go I’d like to invite you to join my email community. I will send you a regular free historic recipe that I’ve tried and tested here in the Town House’s kitchen.